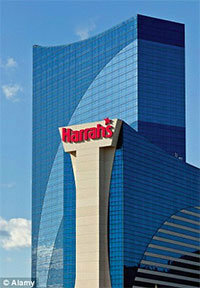 A man who tried to flush counterfeit poker chips down the toilet at Harrah’s Casino Hotel in Atlantic City can go to prison for doing so. Christian Lusardi pleaded guilty to the crime. He had brought $ 2.7 million in fake Borgata chips to a poker tournament. The fake chips were noticed by casino staff two days after the tournament began. The defendant had retreated to his room at Harrah’s Casino Hotel, where he attempted to flush 500 of the counterfeit poker chips down the toilet. The attempt to get rid of the chips caused a blockage in the sewage of the hotel and also the tournament was halted by the New Jersey Division of Gaming Enforcement. Lusardi can be imprisoned and fined $ 9,455 for expenses to the drainage, and an additional fine of as much as $ 463,540 for the casino that boosts this amount as lost revenue from the canceled tournament. It was not the Royal Flush Lusardi hoped for, shall we say…. Better to play poker online, grab your welcome bonus and hit your own flush! Book of Dead 50,000 Euro giveaway!